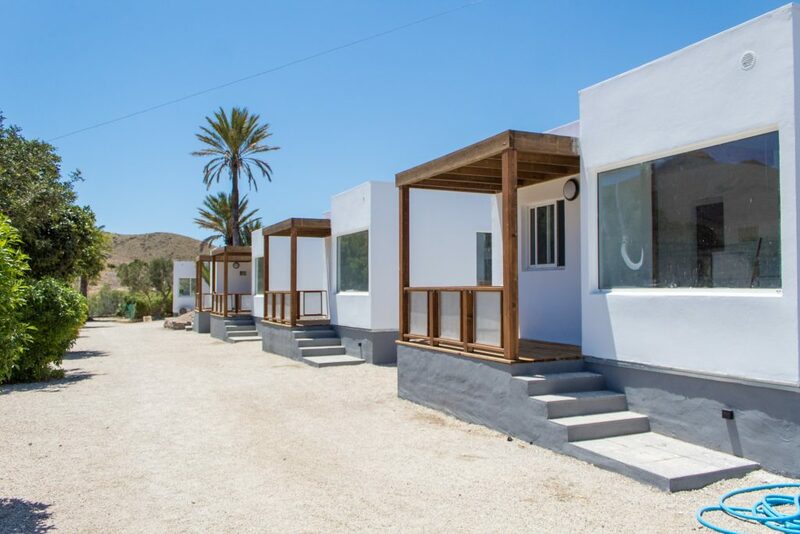 The Bungalows are one-floor wooden houses of an area of 35 m2, ideal for a holiday with family or friends, as well as for a weekend getaway to Cabo de Gata Natural Park (Nijar). Our Bungalows are composed of 2 bedrooms, living room, equipped kitchenette, bathroom with shower, porch and parking. We have 49 bungalows, of two models: one for 4 people, with two rooms with a double bed in one room and bunk bed in the other. The another model offers 5 sleeping places, thanks to a room with a double bed and a second room with a bunk bed and a single bed so that it can accommodate up to 3 people. Bungalows have adapted to Disabled. The Bungalows include: air conditioning, kitchen utensils, microwave, electric coffee maker, refrigerator, flat screen TV, telephone, furniture, cabinets and bed sheets. Travel cots are available on request and with no extra charge. Bath Towels are included in our Bungalows. 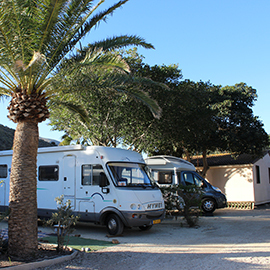 Our Bungalow service includes the option of Mobil-Home accommodation. 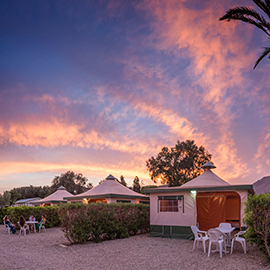 The mobile home is a group of 10 Bungalows in an isolated and independent area of the resort. Accommodating up to 50 people, they are a collective solution, ideal for celebrations and large groups. If you are thinking of looking south this summer, the Cabo de Gata Natural Park is an excellent option whether you are traveling as a couple or as a family. 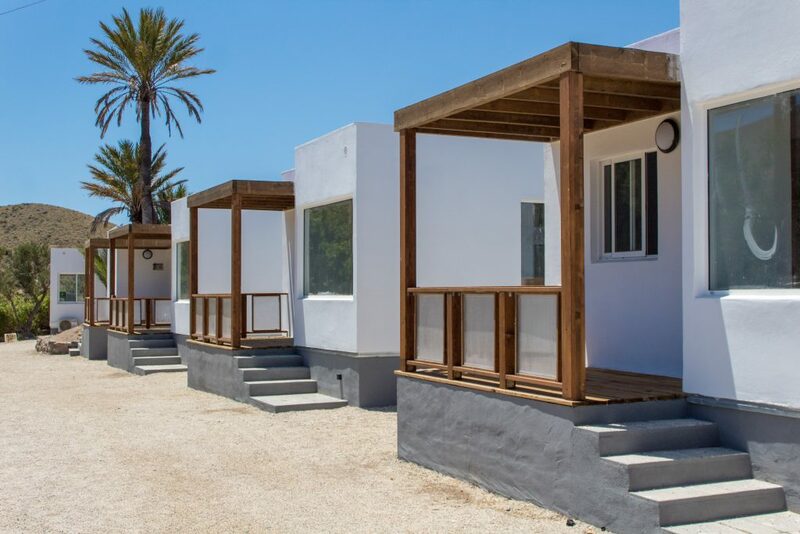 And to stay with all the comforts, the Los Escullos campsite, located in Cabo de Gata, between the Village of San José and Rodalquilar, premieres new 22 m² studio bungalows with modern exterior and interior design. Thus, with a whitewashed exterior, very much in keeping with the architecture of the area, the bungalows have a kitchen, living room / bedroom and toilet. 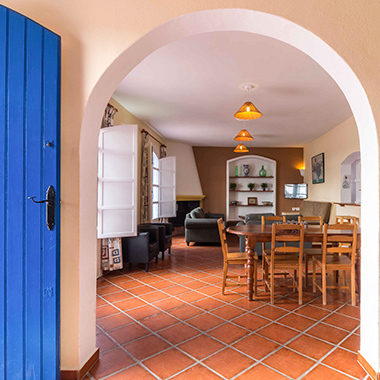 The kitchen is equipped with a dishwasher, refrigerator, ceramic hob, microwave, Nespresso coffee machine, toaster and kitchenware. All bungalows have front terrace and backyard with artificial turf, two hammocks and outdoor shower.